Rustic meets modern in this incredible townhome-style condo: high-end upgrades shine throughout! Enjoy premium wood-look flooring, soaring vaulted ceilings, custom distressed wood features, a wood-burning fireplace enveloped in exquisite stacked-stone and an abundance of natural light. Remarkable inviting layout features a main-floor bedroom with en suite bath, upper level master suite with private balcony and an open and airy loft, perfect for an office or playroom. Beautifully refinished, the kitchen presents modern grey cabinetry with interior lighting, gorgeous granite countertops, tile backsplash and a breakfast bar with designer filament pendant lighting. Adjoining casual dining area is well-appointed with a custom shiplap wall. On the upper level, the master is a true retreat. Offering a spacious walk-through closet with built-in shelving and a fabulous four-piece bathroom boasting a new marble-topped vanity and tasteful finishes. The private balcony is a wonderful place to relax and unwind. In-unit laundry with washer and dryer that remain. Enjoy a fantastic, well-maintained community with private amenities that include a swimming pool and a clubhouse available to rent for private gatherings. 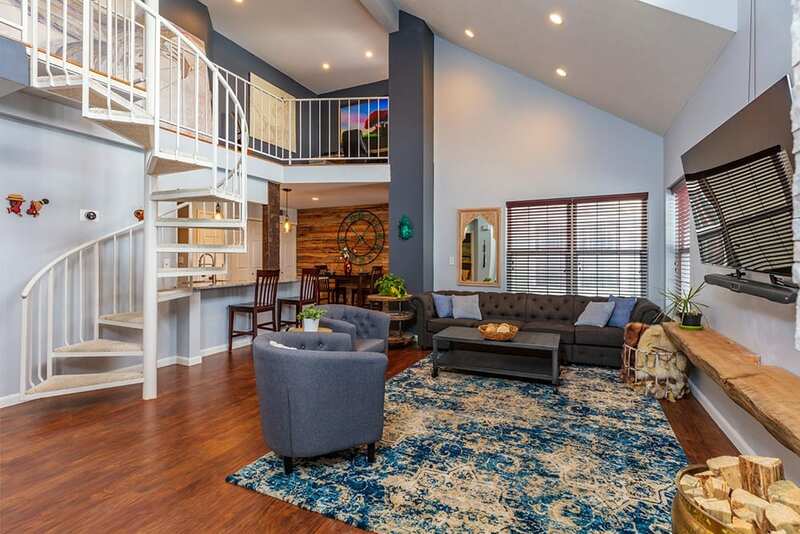 Ideally located in the award-winning Cherry Creek school district, close to Willow Spring Open Space with miles of trails, Holly Park and Tennis Club, the Denver Tech Center, I-25, the light rail and an array of dining and shopping options. Don’t delay – this exceptional condo won’t last long!